Many great artists made cool plays in 2013. Jock went from Wolverine Max cover artist to Savage Wolverine one-man creative team. Jim Cheung was honoured for his amazing work on Avengers: The Childrens Crusade with Marvel event book Infinity, and iconic Spectre artist, Tom Mandrake found a new home and lease on life at Image Comics, through Sidekick with writer J. Michael Straczynski. 3) PAUL PELLETIER Former CrossGen artists all 'explode' outside the defunct publisher's walls. Steve Epting, Steve McNiven, Greg Land, Jim Cheung have, and now the latest, Paul Pelletier just may be the biggest of them all. He's been a reliable pencilling workhorse for years, but in 2013 his 'overnight success' arrived on the incoming tide. That sound you hear is DC mopping their brow. With a superstar like Ivan Reis on your books, one problem quickly swells around you; 'Who replaces them when they eventually leave?'. 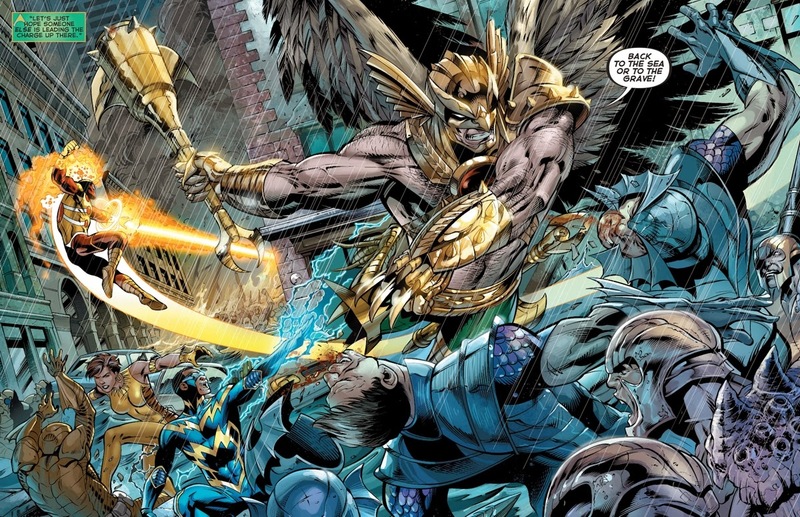 Trialled on the Justice League crossover Throne of Atlantis, Paul was chosen as the ongoing artist to take over from Reis on Aquaman in the latter half of the year. The wrong move, could've sunk the hit book beneath the waves. However, Paul dove in and swam away with the gig, producing results that are literally the work of his career. 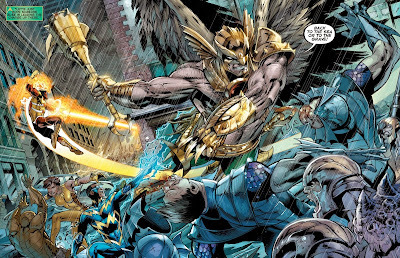 An Alan Davis feel, along with the oceans of detail Ivan branded the books Atlantean depths with, means the tides can only continue to rise as Paul's personal style rocks audiences on every shore. 2) J.H. WILLIAMS III If comic fans felt kicked in the nuts in 2013, it was probably in how J.H. 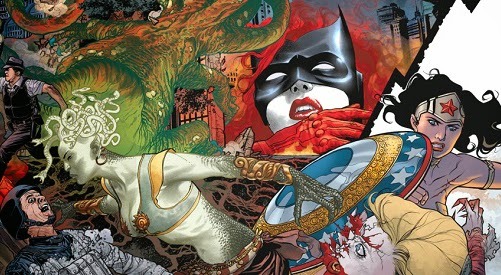 Williams III was removed from DC's Batwoman - especially after kicking the year off with a fantastic team-up between the title character and Wonder Woman. Make no mistake, as that wee clipping shows, Williams is a 'Top 10 comic artists of our time' kind of guy, and any publisher removing him from a title before he opts to jump is shooting themselves in the foot, just like they would be doing such to Jack Kirby, Neal Adams, Jim Steranko or any other 'industry Top 10-er' that came before him. 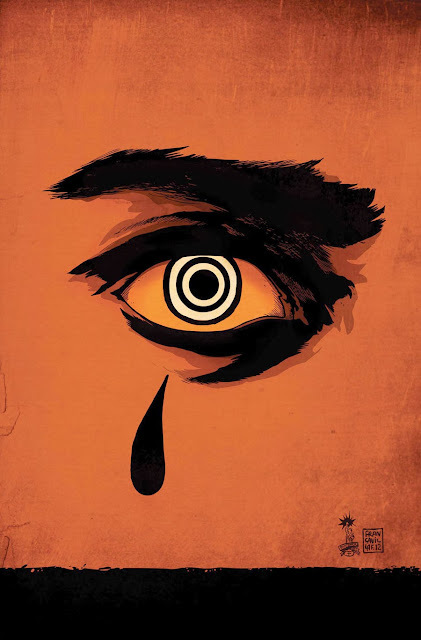 With just one issue of Sandman: The Overture released, J.H. has already proven conventions in page layout and design he had broken in Gotham, were just made to be broken again. 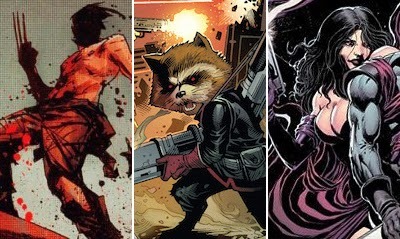 The fact that more of the same lies ahead in 2014, means the year is already in in a dream state for art fans and comic fans alike. For my top comic artist of 2013, click through to the next page. 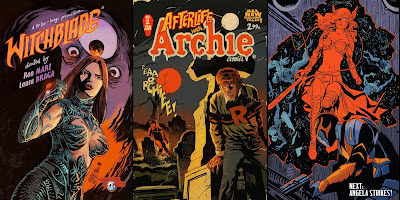 If you hear about schedules being missed, one man's work blows those cases out of the water; Francesco Francavilla. 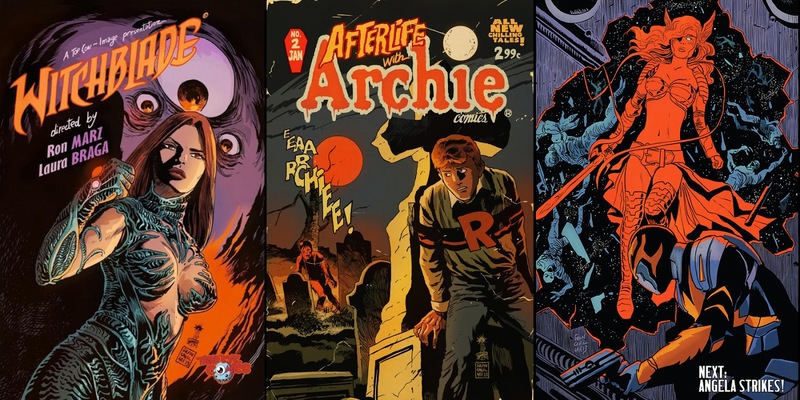 Not only has the pulp-retro styled artist done a story-arcs within red-hot titles Guardians of The Galaxy and Hawkeye in 2013, there's his creator owned Eisner Award winning series Black Beetle at Dark Horse, plus his zombie fest Afterlife with Archie - and that's just the tip of the iceberg. Add in his covers for The Shadow, Dr Who, Uncanny X-Men, Fantomex, Daredevil, Near Death, Avengers Academy, Savage Wolverine, Lone Ranger, Dark Shadows, Red She-Hulk, Witchblade... well, you get the point. This is one artist whose years work is as impressive in it's execution as it is in it's volume. His work almost needs its own stand! Here's hoping his style and ability to deliver only earn him more great opportunities to showcase his wares in 2014! ARTISTS TO WATCH IN 2014: George Perez will be back from surgery with a vengeance in She-Devils from BOOM! Yanick Paquette could easily join Perez as an iconic Amazon artist, should Grant Morrison's Wonder Woman: Earth One see print. And then there is still J.H. Williams III. Wouldn't you pick being involved in 2014's most high profile comic as the perfect time to launch your creator-owned title?